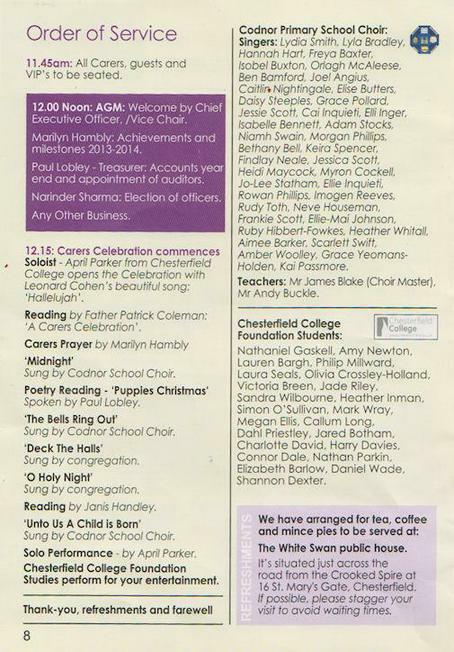 Our choir was invited to sing at the 'Carers Celebration' event by the Derbyshire Carers Association on 9th December 2014. 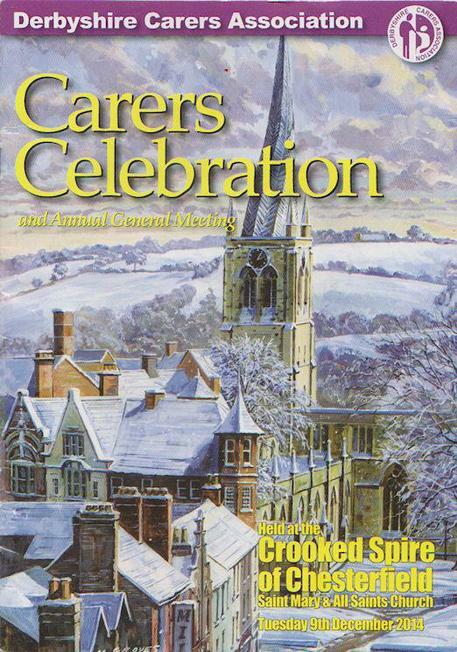 We want to say thanks to the Carers Association for the invitation; to Gill Stamp for making the arrangements, looking after us and answering our difficult questions ; and of course - to all the adults who came along to help. You are very appreciated! 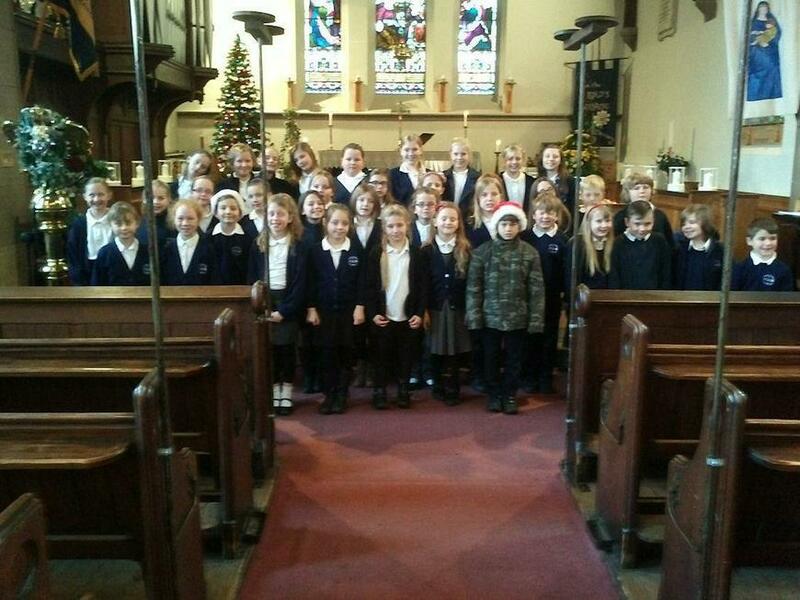 On December 15th, our choir sang at St. James', Codnor for our annual, traditional Church Service. 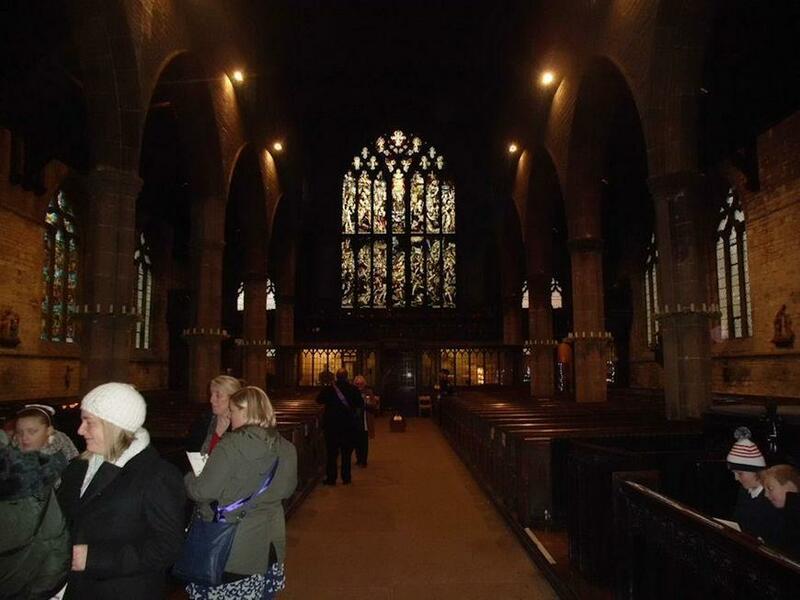 It was attended by many members of our local church and community. 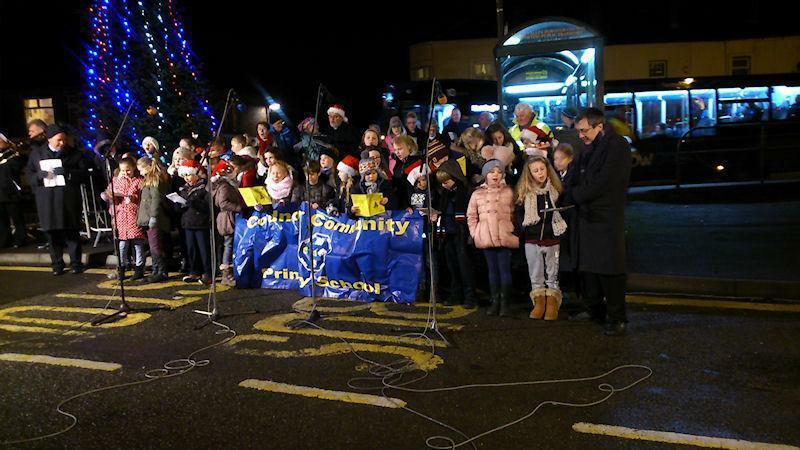 On the evening of December 16th, our choir performed at this wonderful annual event, organised by our local parish council and attended by people from our own community and beyond. 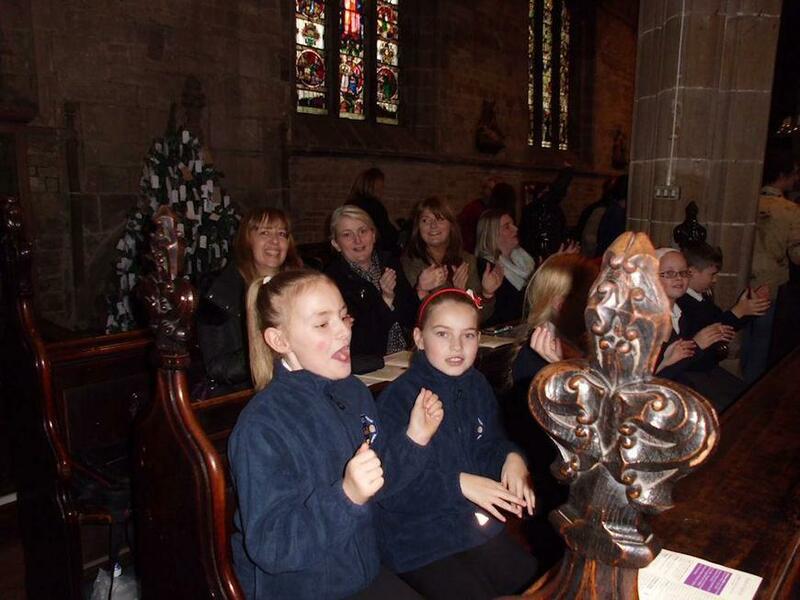 The Heage Band provided music, and everyone agreed that this was a great way to begin their Christmas celebrations. The collection went to the BBC Children in Need appeal. 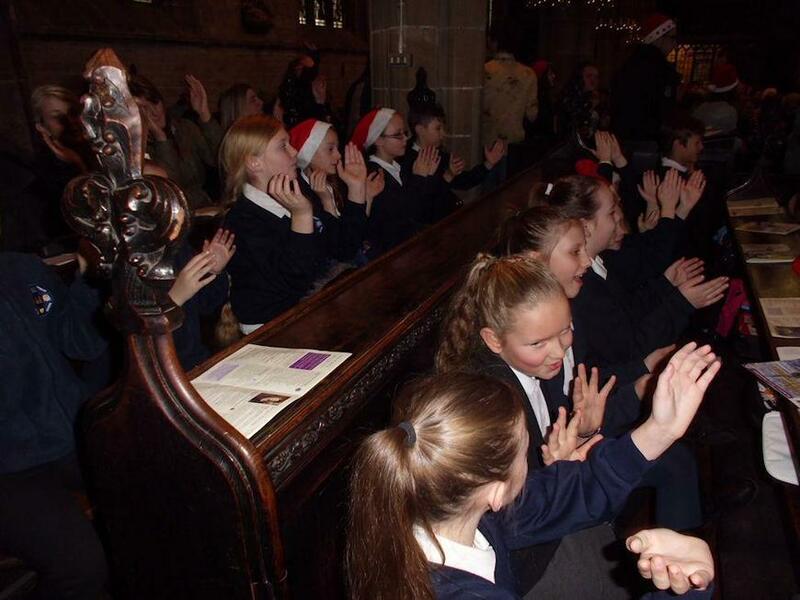 To round off a super year, the choir performed in school on 19th December. 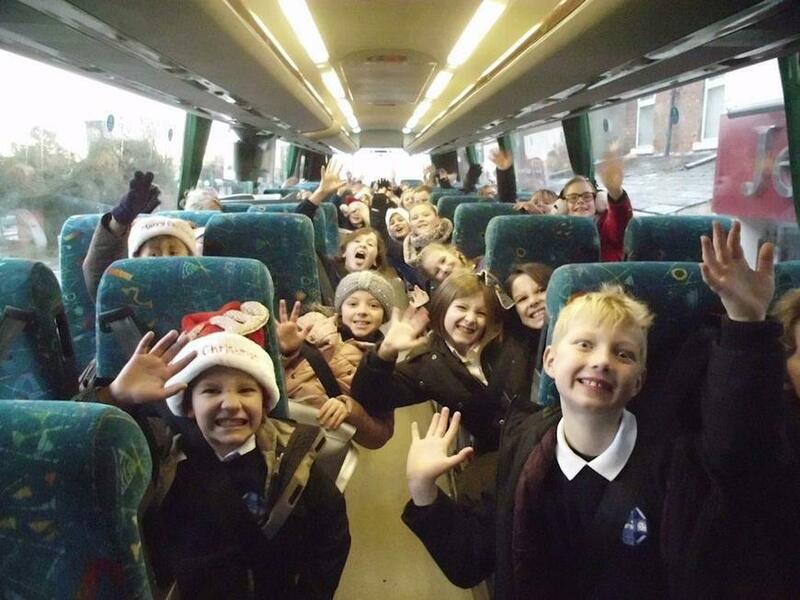 Each year, Carols Around the Tree features singing and other musical items from all of our children - including our great instrumentalists: masters of the violin, brass, piano and bells! There was also a brilliant poetry reading and performance from our Poetry Competition Champion! 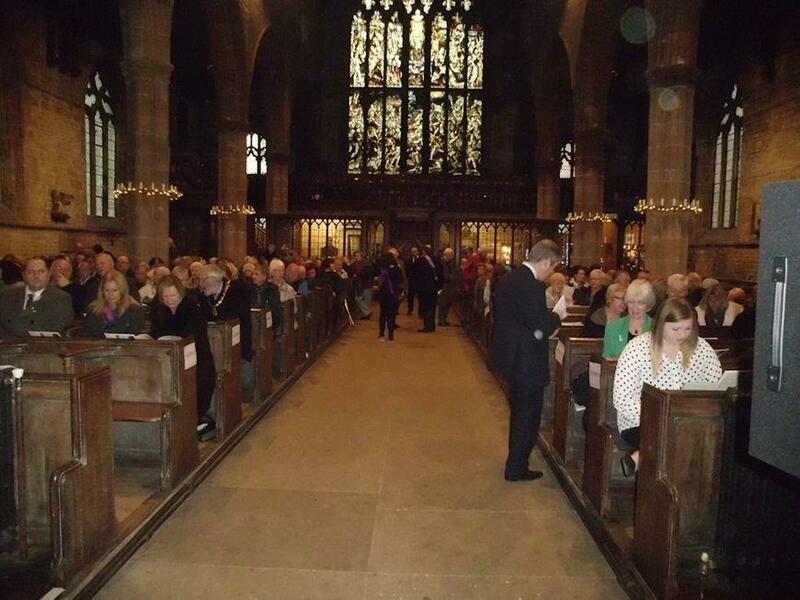 We want to thank everyone who came along, packed out the hall, and enjoyed mince pies and a cup of tea! Same time next year?